Anarkism, brandbomber och vhs-fragment i Camila José Donosos estetiska experiment som genom innovativ klippning leker med fiktion och verklighet. Den 65-åriga Nona lär sig tillverka molotov-cocktails för att kunna ta hämnd på sin gamle älskare. Efter brandattentatet tvingas Nona fly från Santiago. Plötsligt börjar mystiska bränder blossa upp på landsbygden utanför staden, men Nonas roll i händelserna är inte helt självklar. Camila José Donoso (Naomi Campbel, GFF 2014) regisserar den fascinerande historien med en särpräglad, uppklippt visuell stil som delvis för tanken till Verano, ett annat modernt mästerverk från Chile. Ibland visas fragment av både dåtid och framtid tätt intill varandra, eller så repeteras en identisk dialog två gånger i rad med olika bilder. Titelrollen är inspirerad av regissörens egen mormor. Camila José Donoso was born in Chile in 1988. She studied film and directed several shorts and video performances. 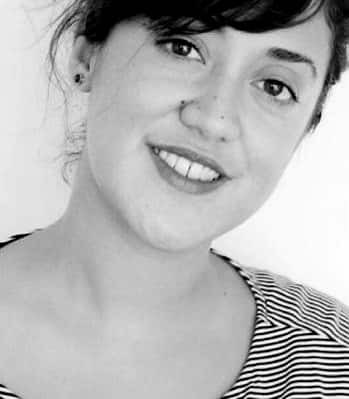 As a director and screenwriter, she made Naomi Campbel (FICValdivia and CPH:DOX, 2013) and Casa Roshell (Berlinale, 2017), both of which were screened and awarded at many film festivals. In 2016, she founded and created Transfrontera, an encounter between Chile, Peru and Bolivia centering around film and politics, attended by such people as Ignacio Agüero, among others. She will soon release her third film, Nona, si me mojan, yo los quemo. Nona comes from the intimate relationship I have with Josefina Ramirez, an extraordinary woman who turns out to be my grandmother. I wrote Nona with the desire of depicting a woman like I would depict a generation that was scarred by numerous struggles in this country, which lies stuck between the cordillera and the ocean. The script grounds itself in real life events, but also imaginary ones, re-created ones, from Josefinas life, and they are motley and intriguing. In my first movie, Naomi Campbel, which was a documentary portrait of a transsexual woman, fiction occurred discreetly. In Nona, fiction outpowers the real world, even though every single element is derived from Josefinas life. I wanted Nonas character to have depth. I wanted the viewer to discover Nona like I knew her; a grandma, an extravert housewife who occasionally lied, a fickle woman, but all of that that was far from the pyromaniac femme fatale I later discovered. I wanted the viewer to be able to live in Nonas intimacy, without judgment: for Nonas beauty also dwells in that complexity, that ambivalence of her character. It is astonishing to picture this old lady with a Molotov cocktail in her hand. From today's perspective, I look at the scars that my country's history has left on people, how it created seemingly quiet characters but deeply broken, and sometimes violent. This is a reflection from the present as my generation lives it; like Nonas life, which seems quiet and tidy, Chiles situation seems quiet and prosperous. Josefina Ramírez, Eduardo Moscovis Gigi Reyes, Paula Dinamarca.